The Egyptian Embassy in Serbia held this week the third meeting in a series of periodic meetings with the Egyptian community in Belgrade since the beginning of 2018 to discuss specific ideas for presenting Egyptian cultural material to the media. 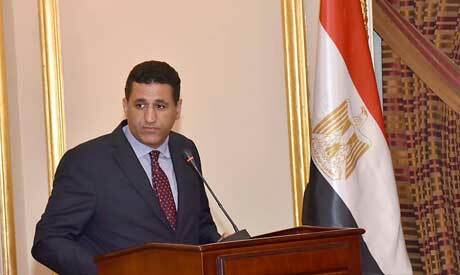 In his opening remarks, Ambassador of Egypt in Belgrade Amr Aljowaily stressed that the aim of these periodic meetings is to establish a continuous dialogue open to all without prior invitation, and to listen to the suggestions of the members of the community, to promote bilateral relations in various fields. He called on the audience to focus on the prospects of boosting cooperation between Egypt and Serbia in the field of media, since the first two meetings addressed economic and cultural issues, respectively. Representatives of the Egyptian Serbian community, who came from varied specializations in tourism, stock exchange, education, and entrepreneurship, proposed their ideas, including the importance of increasing media coverage of Egypt in the Serbian media by encouraging tourism companies and others to include promotional material on Egypt. They also asked popular Egyptian films and TV serials to be broadcast in Serbian translation or dubbing. A member of the community also revealed his intentions to establish a kindergarten or primary school for the second generation of Serbs of Egyptian or Arab origin. Aljowaily told the audience that the Embassy had already started a series of communications activities, citing that a delegation of leading media organizations in Serbia is already in Egypt to further explore the enormous tourism potential in the Red Sea Governorate. The ambassador concluded by stressing the importance of the continuation of these meetings as an opportunity to increase the links between the embassy and the members of the community, stressing that the most important ideas are transmitted to the competent authorities through the Ministry of Foreign Affairs to study them, calling on members of the community to follow the social media channels of the Embassy, which provides an interactive medium to communicate. The Embassy has the same handle for its page on Facebook and account on Twitter (@EgyptInSerbia), thus offering a platform for direct communication with the Serbian community directly, with content in Serbian gradually increasing.